Samples of approximately 10x10 cm minimum. Please indicate in the "notes" section at checkout the name and color of sample item requested. The website www.leather-eshop.com collects some of the users´ personal data who browse the website. In accordance with the commitment and attention we place on personal data and in accordance with art. 13 and 14 of EU GDPR, www.leather-eshop.com provides information on methods, purposes, communication and dissemination of personal data and user rights. www.leather-eshop.com collects users´ data directly or through third parties. The types of collected data are: technical navigation data, usage data, email, name, surname, telephone number, province, country, cap, city, address, company name, status, cookies and other types of data. Further details on the collected data are provided in the following sections of this same statement. Personal data are provided deliberately by the user through the compilation of forms, or, in case of usage data, such as data relating to navigation statistics, they are collected automatically by browsing the pages of www.leather-eshop.com. The data required by the forms are divided between mandatory and optional; on each form the two types will be indicated separately. In case the user prefers not to disclose mandatory data, www.leather-eshop.com reserves the right not to provide the service. 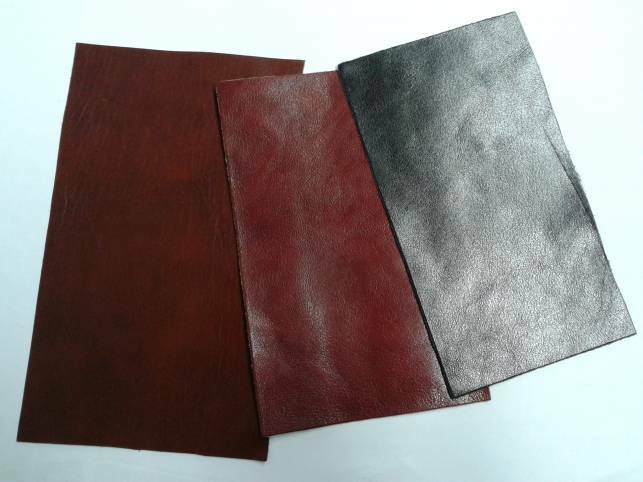 In case the user prefers not to communicate optional data, the service will be provided anyway by www.leather-eshop.com. The user who communicates, publishes, disseminates, shares or obtains third party personal data via www.leather-eshop.com assumes full responsibility for them. The user frees the owner of the website from any direct responsibility and towards third parties, guaranteeing to have the right to communication, publication, dissemination thereof. www.leather-eshop.com does not provide services to users under the age of 18. In the case of demands made for minors, the parent or the person holding parental authority must fill in the data requests. The personal data collected by www.leather-eshop.com can be acceded by the internal staff (such as administrative, commercial, marketing, legal, system administrators) and / or external subjects (such as third-party IT service providers, webfarm, communication agencies, suppliers of complementary services). When necessary, these structures are appointed by the data controller. Personal data are kept and processed in the owner´s operational and administrative offices, as well as in the webfarms where the servers that hosting www.leather-eshop.com website reside, or on the servers that make the backup copies. The personal data of the user may reside in Italy, Germany or in the Netherlands, however in countries of the European community. The user´s personal data are never brought or copied outside the European territory. - responses to purchase requests. The user can fill in the registration form to the private area of ? ?the website in order to access private and reserved services only for users registered with www.leather-eshop.com, concerning private services of the website, such as private documents, private links, communications, etc. By entering their data, the user consents to their use for sending notifications regarding private services of the website. These services can send messages to the user, for example emails or sms of payment notifications. www.leather-eshop.com includes in its pages plugins and / or buttons to interact with social networks and / or external applications. These services are used by the data controller to analyze the traffic carried out by users on the website www.leather-eshop.com. Purpose of the service: web analysis service provided. This service collects the user´s personal data to monitor and analyze the use of the website www.leather-eshop.com, generate reports and use them for other Google services. Google may use the collected data to personalize its advertisements. The user can exercise his / her rights as stated above sending a request to the data controller La Ruota s.r.l. to the following addresses: info@laruota.it; tel. 3661810750. The request to exercise one´s own right has no cost. The owner agrees to fulfill the requests as quickly as possible, and in any case within one month. In case of recourse to the court for abuse by the user, in the use of www.leather-eshop.com or the services connected to it, the holder has the right to reveal the user´s personal data. He is also obliged to provide the aforementioned data at the request of the public authorities. The user has the right to request specific information to www.leather-eshop.com for the website and / or the collection services concerning the use of personal data. www.leather-eshop.com and / or third-party services (if any) may collect the user´s personal data, such as the IP address, in the form of a system log. The collection of this data is linked to the operation and maintenance of the website. "Do Not Track" requests are not supported by www.leather-eshop.com. The information that is automatically collected during the browsing of www.leather-eshop.com is used, both from the website itself and from the third party applications included in the site. Examples of data usage are the IP address and the details of the device and the browser (including geographic location) that the user uses to navigate the site, the pages viewed and the length of time the user stays on the individual pages. The subject using the website www.leather-eshop.com. The service offered by the website www.leather-eshop.com as indicated in the relative terms. This information is prepared on the basis of multiple legislative systems, including articles 13 and 14 of Regulation (EU) 2016/679. This information concerns only www.leather-eshop.com , unless otherwise specified.